Velvet Taco, the Dallas-based, funky, fast-casual restaurant known for creating tacos with international flavors, is rolling out a brand new brunch menu beginning Monday, September 24. I know we ran info on the closing of Urban Taco’s Uptown location, and subsequently Velvet Taco taking over the location. I have more information from Velvet Taco. We had a great response on the story so I thought you all might appreciate the details. Also, they are hiring 65 people. I love keeping everyone up-to-date as possible. Urban Taco’s McKinney Avenue location in Uptown will be closing on Saturday, March 31 following dinner service to make way for Velvet Taco. Bean curd, or tofu is relatively simple to create by pressing coagulated soy milk into submission which can be soft, firm or extra firm. If you follow us with any sort of regularity you will not we do appreciate our animal filled dinner plates, but it is true we have a soft spot for a well thought out vegetarian or vegan dish. Each week Velvet Taco announces what they call the WTF, or Weekly Taco Feature. Cute, eh? 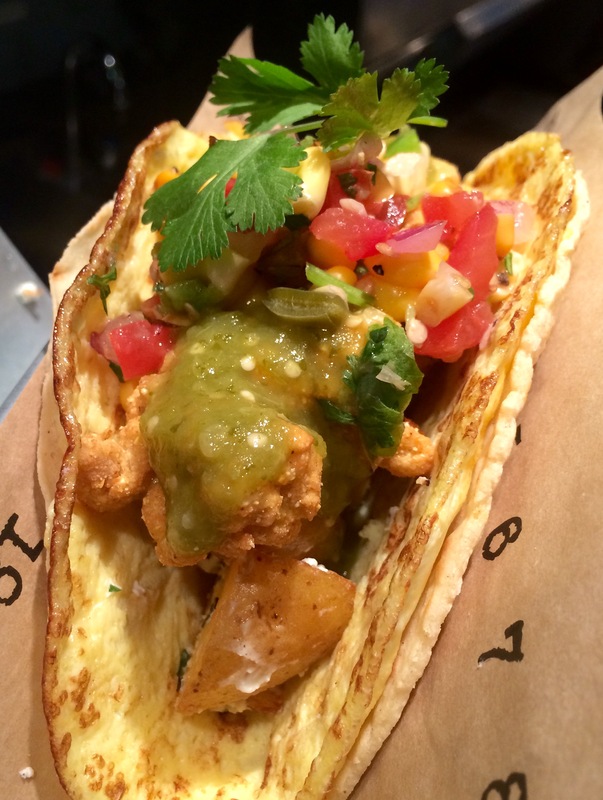 This week’s Weekly Taco Feature puts tofu in the spotlight with the spicy Kung Pao Tofu Taco. 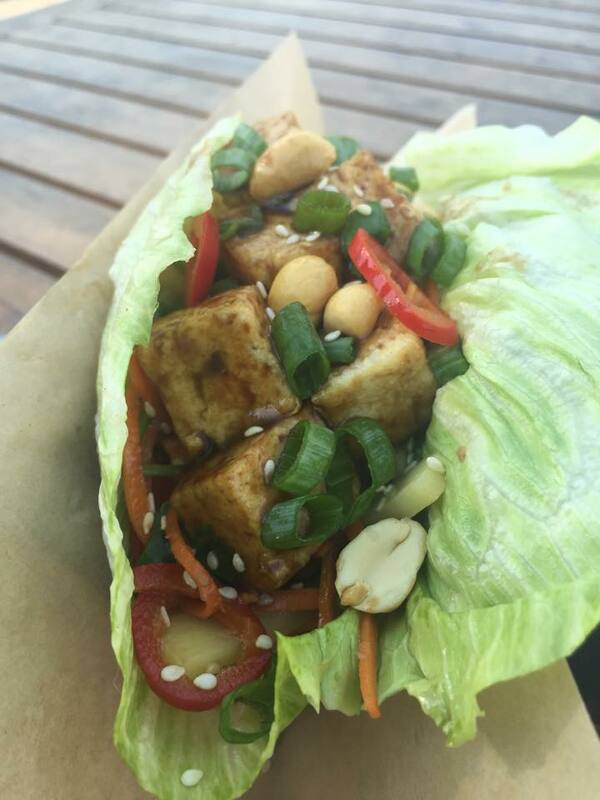 The Kung Pao is made with fried tofu, peanuts, green onions topped with Asian Bamboo Salad and wrapped in a crisp lettuce wrap. This one sounded so delicious that we had to share. Available now through Sunday, August 9. WTF Velvet Taco? Veal Brains? Velvet Taco has a long standing tradition of making a special taco each week called the WTC Taco. WTF means Weekly Taco Feature,not that other thing you were thinking. We were sent word this week that they have upped the stakes on the WTF, and you might be a little impressed by their ability t step out there a bit with ingredients. This weeks WTF is is a cornmeal fried veal brains taco. Specifically a corn tortilla, egg, goat cheese fingerling potatoes, avocado crema, nopales pico, and salsa verde — along with lime poached and then cornmeal fried veal brains. Haven’t had your ration of brains this week? Go get ’em, tiger. There are locations near you.